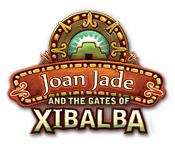 Joan Jade and the Gates of Xibalba is rated 3.6 out of 5 by 8. Rated 4 out of 5 by mrm2006 from Find the missing children in the jungle. Okay, before I get into my review, why in the world would you let your children go on an archeological dig? I mean, ages aren't given but by the use of the term "children", I'm guessing they're pretty young. Just sayin'. The HOGs (hidden object game) part of the game was not too bad. Items were very easy to find. The mini games as well were very easy to do. It was also relatively easy to figure out what goes where or what to do to get/do something. The hard part came because there was no sense of direction in the game and, therefore, I tended to use the hint button more than I'm accustomed to. Even though I enjoyed the game immensely, it won't be a purchase for me because there just wasn't that "wow" factor at the end of the demo. I hope there are some of you out there who will like it enough to buy it. It really is a sweet little game. Rated 4 out of 5 by IdahoForever from Hidden Object/Puzzle Game Based on the demo. This is an old-school game with little adventure, and a lot of puzzles and HOS. After her children go missing from an archealogical dig, their mother, an archeologist, searches for them. She uses her cell phone to keep in touch with her husband, who is with search and rescue. Along the way, she is blocked by puzzles she has to solve before going further. The graphics are well done, and the music is soothing. The puzzles are fairly easy. 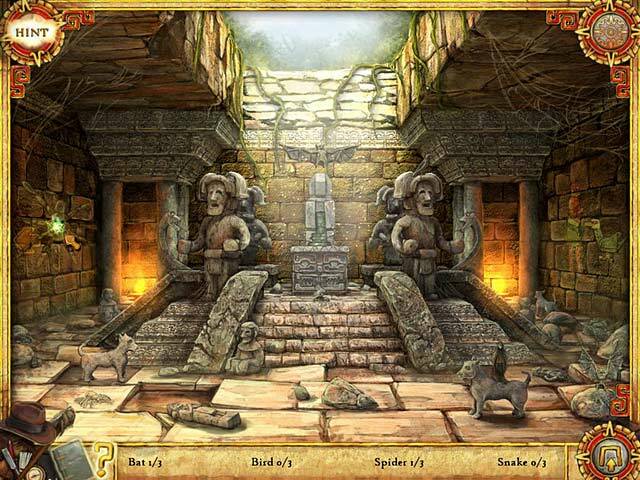 Rated 4 out of 5 by Rebr2009 from Pleasant Game It is an interesting and enjoyable game, especially because of the archaeological sites. Graphics are very well done. Sound is smooth and nice, differing from the usual ghostly noises. There are a lot of locations, many things to do in each of them, but is not really challenging. There are a lot of mini games too... but they are repeated often and are rather easy. It is a nice game to be entertained, not for reasoning. Rated 3 out of 5 by arnold1049 from BRIGHT GAME Although the locations of this game included tunnels, secret doors inside temples, etc., none of them were dark, which I liked a lot. It just goes to prove that games don't have to be dark and eiry to be fun. The storyline was good, but a little disjointed. I had to use the hint button a lot to figure out what to do next. The inventory items did not make it obvious where to go or what to do next. In other words, the flow of the game wasn't that logical. The game was fairly short, but the ending was left up in the air, so there maybe a sequel in the works, or a CE to continue the plot. Not sure I would spend money on it if either one comes out, though. Had some interesting puzzles, the most frustrating of which were the mazes. If you plotted a wrong move, you had to start over, instead of just starting from where you got stopped. This took entirely too much time replotting all the moves over and over again, so, except for the first one or two, which were fairly short, I skipped these puzzles. Just not that good of a game. Rated 3 out of 5 by denniann2 from a good game that was more adventure than HO the game had good graphics and the HO scenes es weren't bad but there weren't many of them. hint/skip charge in 60 seconds. no map but there really is no need. there is a diary. hints don't hand hold you but do help. i had to check the walkthrough a couple of times. you are looking for your kidnapped children in the jungle and so it has a mayan influence. a lot of problem solving. 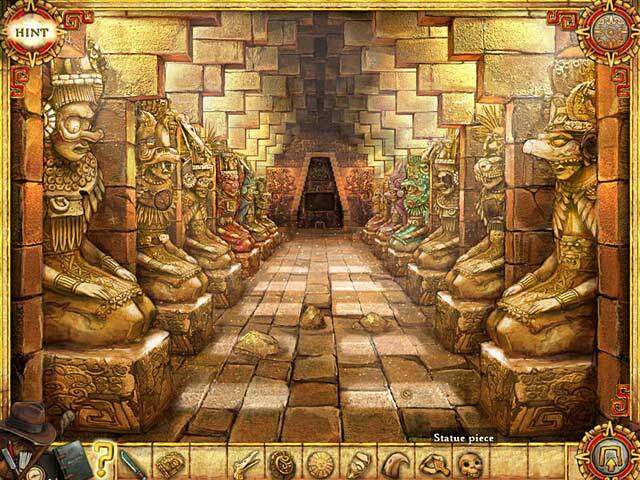 Rated 2 out of 5 by GrrlScientist from relaxing time-waster in this hidden object puzzle adventure, you are joan jade, an archaeologist, and you've brought your son and daughter with you into the South American jungle as you investigate ancient ruins. however, your children disappear and it is up to you to match your wits against puzzles, to seek out missing items that provide either useful tools or clues to your children's whereabouts. will you find your son and daughter? graphics: colourful, crisp, and generally easy to see. the graphic artist does a nice job capturing the style of maya artwork. static cartoon-style cutscenes provided most of the storyline. sound: no background music that i recall, although there were "generic" bird songs and other stereotypical "jungle sounds" at times. joan's "hrm" (made whenever she finds a useful item) became a bit annoying after a few minutes. storyline: reasonably believable, not too far-fetched, although joan's use of a cell phone in the middle of a jungle was unbelievable to me. but overall, the story holds the entire game together, giving it some coherency. interestingly, there isn't any tension created by joan's missing children, no overt threat to their health or safety: they're just ... missing. 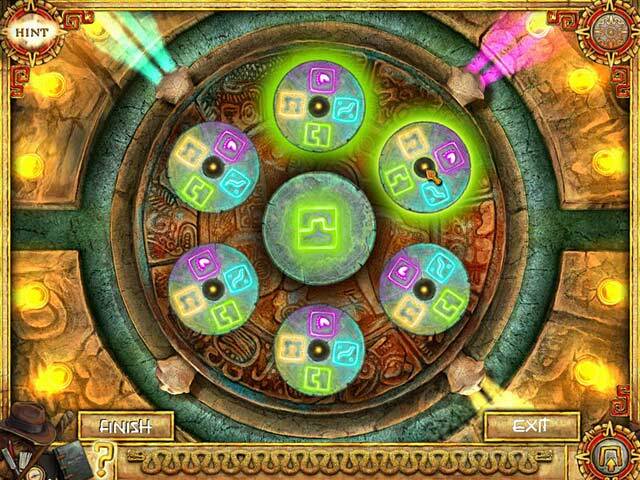 gameplay: a straight hidden object game with mini-games interspersed throughout. the mini-games were mostly spatial or memory puzzles that were extremely easy to solve. the same types of mini-games were repeated throughout the entire game, removing any intellectual challenge. achievements are awarded, increasing replay value. hints provided, skips allowed. journal provided, map allows you to pop quickly from one scene to another. my interaction: one hour demo. i've no plans to purchase this game. personally, i found it quite boring and repetitive (thus, my 2 star rating) but you may disagree: it is a slow-paced hidden object puzzle game that may be fun for those who are new to video games and for those who simply want to unwind and relax for awhile. Take on the role of Joan Jade, archeologist of the year and mother extraordinaire, in her quest to save her children!